Talented All Blacks star and proud Old Boy of Francis Douglas Memorial College Beauden Barrett has been honoured with the top international award in the sport-World Rugby Player of the Year. Since his test debut against Ireland in 2012, Barrett has been a stand-out player for the champion side, scoring 283 points for the All Blacks and playing a key role in their winning World Cup campaign in 2015. The gifted 25 year old fly-half player first honed his rugby talent in the First XV team at Francis Douglas Memorial College in New Plymouth. The team has a proud history of nurturing a number of All Blacks, including Beauden's younger brothers Scott and Kane and former coach and player John Mitchell. 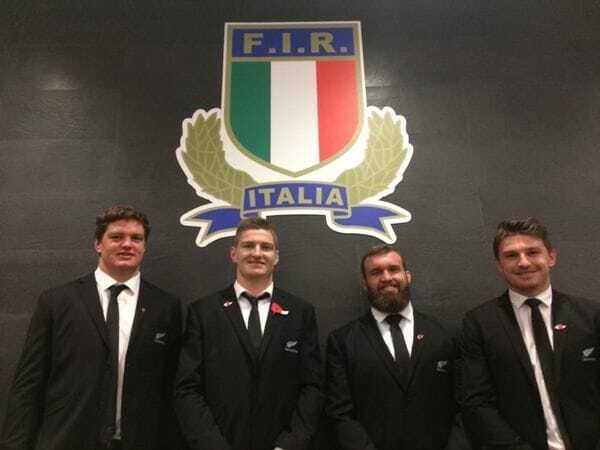 Another Old Boy of the school, Liam Coltman recently made his test debut for New Zealand against Italy and another former member of the First XV squad, Conrad Smith starred in the All Blacks World Cup winning side last year. In Beauden's case, he was close to switching to Australian Rules in 2010. Then staff member at Francis Douglas Memorial College Br Peter Smyth helped put Beauden in contact with some influential AFL alumni from De La College Malvern in Melbourne, but fortunately for the All Blacks, the code switch never eventuated. Lasallian schools in New Zealand have a particularly strong connection to the national rugby side with former All Blacks player and coach, Sir John Kirwan a proud Old Boy of De La Salle College Mangere in Auckland, as was another former player, Isaia Toeava.